Logitech G has unveiled a wireless gaming mouse that’ll turn your expectations upside-down. Designed with and for professional esports athletes, the new Logitech G Pro Wireless Gaming Mouse combines the performance you’d expect from a wired device with all the convenience of a wireless model. It all comes down to a lot of serious engineering and design work, plus direct input from some of the world’s top esports pro players. Designed over the course of two years, the Pro Wireless harnesses the power of Logitech G’s latest technology to create a wireless mouse that’s not just as good as a wired mouse, but a mouse the pros demand. If you’ve ever tried competitive gaming with a wireless mouse you’ll know that lag is the big issue. Traditional wireless mice simply can’t transmit data as fast as a cable, and if you’re playing something ultra-fast like Dota 2 -where lightning-quick reactions count the most – the milliseconds of lag that wireless tech can introduce are exactly the sort of thing that can wreck your chances of victory. Why risk it? The easiest way to keep on top of your game at all times is to use the Logitech G Pro Wireless Gaming Mouse. The Pro Wireless uses Logitech G’s Lightspeed technology to deliver wired-like performance. 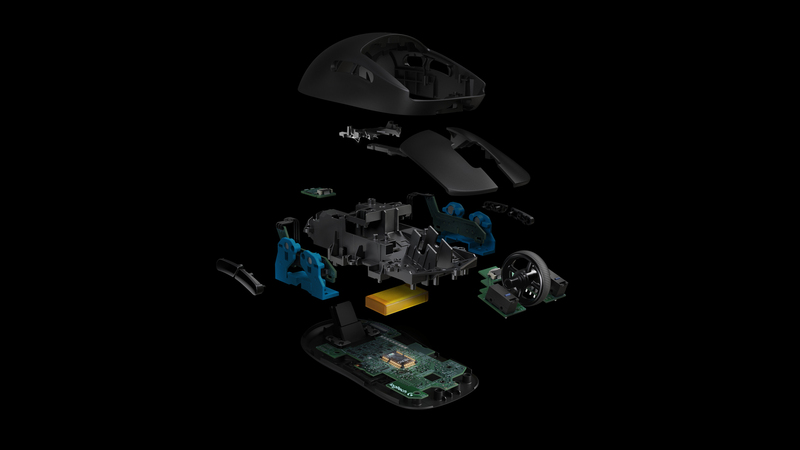 It’s the result of a long process of redesigning and refining every hardware and software component of Logitech G’s wireless technology, ensuring that every element processes data as fast as possible, establishes the strongest connection to your PC, and uses the absolute minimum energy. Every link in the chain has been tested and then optimised for ultimate performance, and the end result is a wireless system that’s as good as an old-fashioned cable, even in the data-saturated environment of a pro gaming tournament. 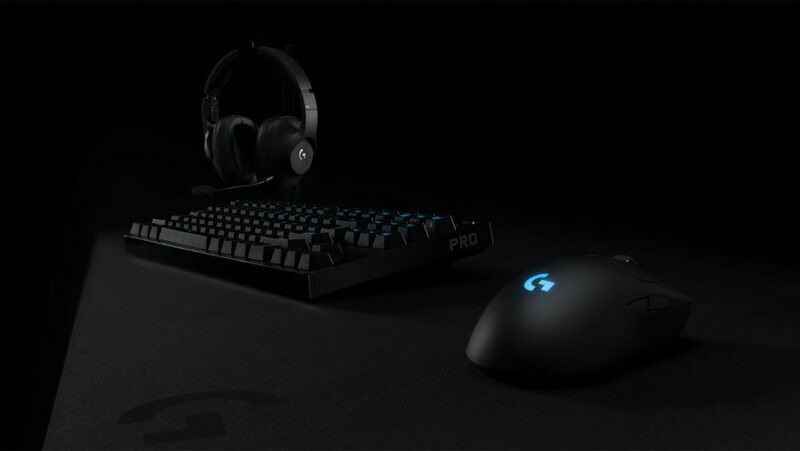 The Pro Wireless’s Lightspeed connection is combined with Logitech G’s latest sensor, the Hero 16K. The previous model of the Hero could capture your every move up to 12,000 DPI, but the Hero 16K takes things even further. As its name suggests, it’ll accurately capture your action at up to 16,000 DPI and 400 IPS with zero-smoothing, giving you unparalleled accuracy. Logitech G has cleverly put the DPI button on the underside of the mouse, too, so you won’t accidentally hit it in the middle of a game and send your sensitivity through the roof. Another advantage of the Hero 16K that makes it particularly suited to a wireless mouse is its incredible energy efficiency. It’s ten times more efficient than Logitech G’s previous sensor, which translates to exceptional battery life. If you’re planning on a non-stop gaming marathon then you can expect the Pro Wireless to outlast you. It’ll run non-stop for 48 hours on a single charge, so even if you stock up on energy drinks it’ll still be going strong when your head hits the keyboard. If 48 hours of use isn’t enough for you, the Pro Wireless features Logitech G’s PowerPlay technology, enabling you to charge wirelessly as you play, and that’s not the only way in which it’s built to last. Its two main buttons boast mechanical button tensioning, so not only do they respond instantly and consistently to every click, they’re also tested to 50 million clicks. That’s roughly equivalent to a pro gamer playing for ten solid hours every day for five years, so you can be certain that they won’t let you down in the middle of a tournament. The Pro Wireless is also able to adjust to your particular playing style so you’ll always feel comfortable with it. It features four removable side buttons, so if you like to keep things simple you can just remove any or all of them. They’re programmable, too – using Logitech Gaming Software (LGS) – so that you can use them to fire off complex command sequences with a single press. You can also use LGS to customise the Pro Wireless lighting. 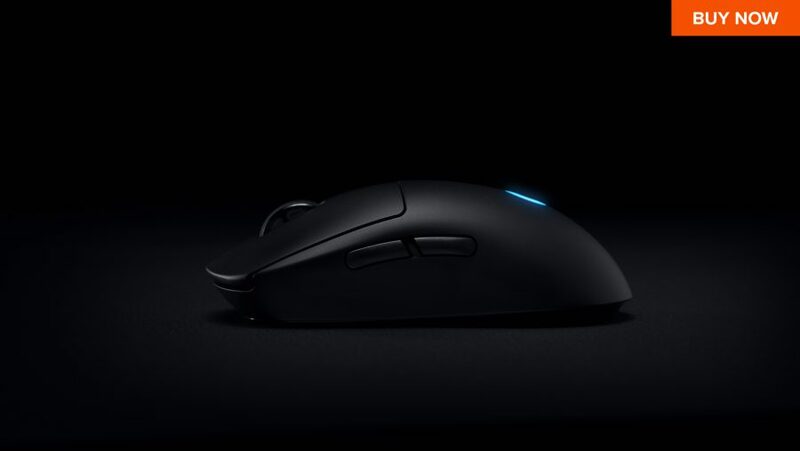 It packs Logitech G’s Lightsync technology, enabling you to light up your mouse with approximately 16.8 million colours and even sync its lighting to other Lightsync-compatible devices in your gaming setup. And if you’re concerned about that other traditional drawback of wireless mice – the additional weight of all that extra technology – the Logitech G Pro Wireless weighs in at a feathery 80g. It comes complete with a charging cable, and if you’re taking it on the road it even features a built-in storage compartment where you can stash its Lightspeed USB receiver, so you don’t need to worry about losing it while on the go. Just toss it in your bag and you’re ready to go. Packed with advanced technology and built for performance and durability the world’s best esports professionals expect, the Logitech G Pro Wireless Gaming Mouse is designed to help you win. Order one today from Logitech G and give your gaming setup the extra competitive edge it deserves.